Let’s be honest, here. Garment fitting can be complicated. However, I’m here to tell you that it’s definitely doable. You just need to know how to take correct measurements and then properly apply them to a pattern. I won’t lie – you may make a few duds before getting everything right. But, here’s the good news – once you master fit, you can sew almost any garment. 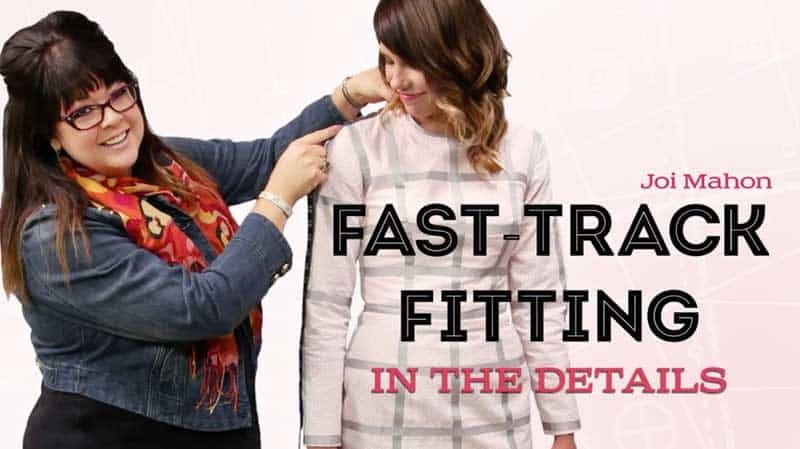 I’ve taken live fitting classes before and they were so-so. Things moved way too fast. Plus, having my measurements taken by a stranger was a little uncomfortable. Once I got home I would try to patch things together using my fitting books. The end result: More than half of what I learned was totally lost. Eventually, I discovered a few Craftsy classes on garment fitting and have been successful. I’ve even got a few tried and true patterns that I know will work every time. I’ve reviewed almost all of the fitting classes and believe that these are the best available on Craftsy. Different instructors have different teaching styles and it’s best that you find a class that works best for your personal situation and learning style. 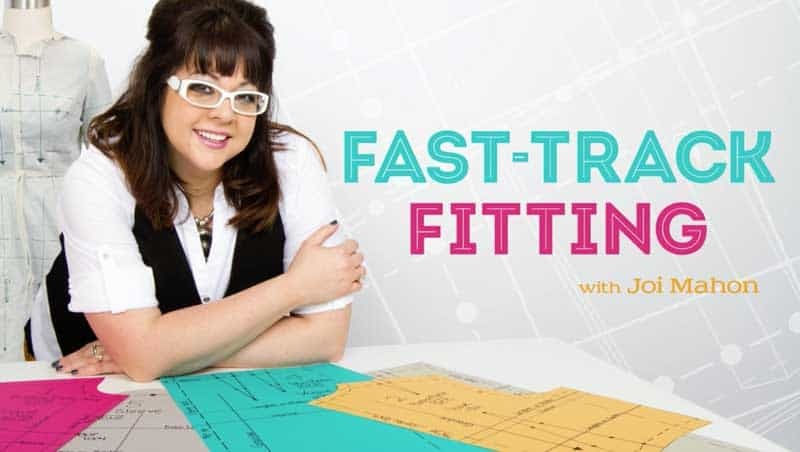 This is a great introduction to pattern fitting video series. It has 10 Units that discuss different elements of fitting. If you purchase the class it includes a Vogue sloper pattern which will help you create a template for fitting all other patterns. This is really the best way to learn garment fitting. If you are a member of Craftsy Unlimited, you will need to purchase the pattern separately. This class works best when you have someone who can help with measurements. After you have your correct measurements, you should be able to do the adjustments. When it comes to perfecting pattern fit, it’s all in the details. But once you understand them, you’ll be able to customize your patterns. This class picks up where the one above leaves off. It uses the same pattern and assumes you are familiar with Fast Track Fitting. There are eight separate units. I particularly like Unit 5 – Fitting on a Real Body. Not everyone has a fitting buddy and that’s why I really like this course. 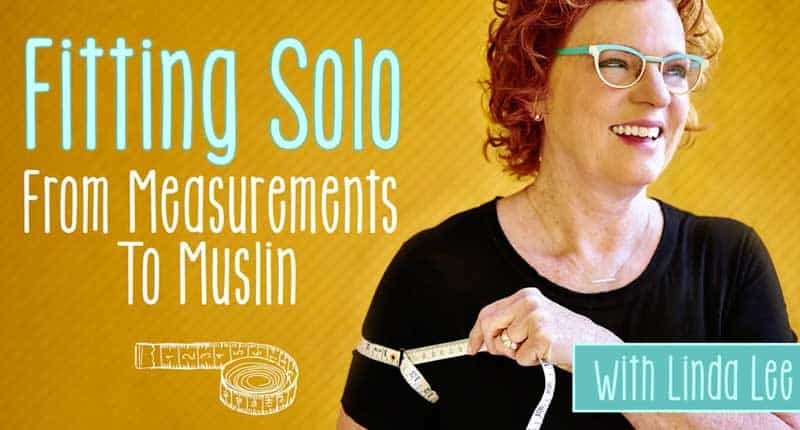 Linda Lee teaches you how to take measurements by yourself. Once you have your measurements, the course shows how to alter a pattern to fit and then takes you through the process of sewing a fitted muslin. 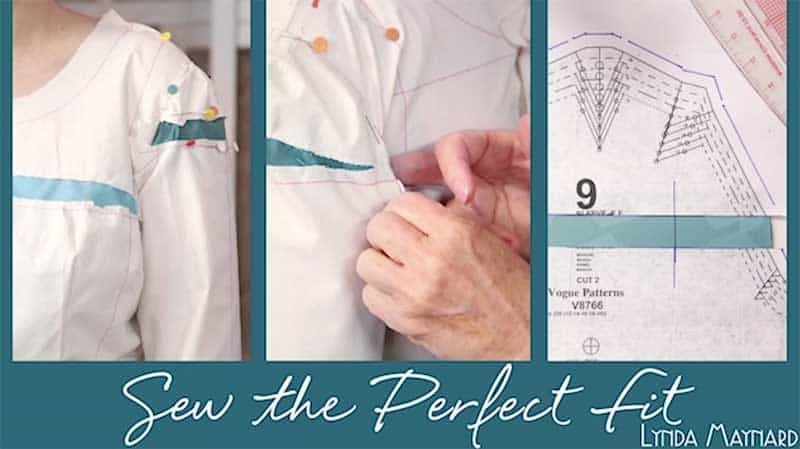 This is one of the best classes for learning how to make some simple alterations to patterns to get a perfect fit. I especially like the part about narrowing the shoulder. The class includes seven units that cover a variety of fitting issues. It’s not as thorough as some of the other classes, but it is a great place to start if you’ve never tried to fit a flat pattern. If you can only afford one fitting class, this is the one I’d purchase. You may have heard of the Palmer-Pletsch fitting method. My mother had a few of their books which I inherited. I used them as a starting place, but found their Craftsy classes expanded where the books kind of left you hanging. I like these classes because they break down fitting into Shirts/Tops, Pants, and even Knits. Within each of these videos there are a ton of details particular to different body types. These classes begin with tissue fitting which requires a fitting buddy. But once you’ve mastered their technique, it’s possible to skip the muslin (although this will take a little practice in my opinion). After demonstrating pattern adjustments for all sorts of fitting issues, they then use a few different sized models to show how to make final adjustments. What I really like about this class is the massive amount of details for almost every fitting issue related to sewing tops. It particularly addresses shoulder, back, and bust adjustments in great detail. While the Shirts/Tops class doesn’t specifically address issues related to sewing a dress (see no. 1-3 above for dresses), many of their methods will work for most bodices. Just like the Shirts & Tops class, the Pants class does a deep dive on fitting pants. It addresses issues like flat bottoms, full tummies, and how to get pants to fit nicely over thighs. One thing I particularly like is seeing the pants being fitting on a live model. This really helps you understand what needs to be done in order to get nice fitting pats. 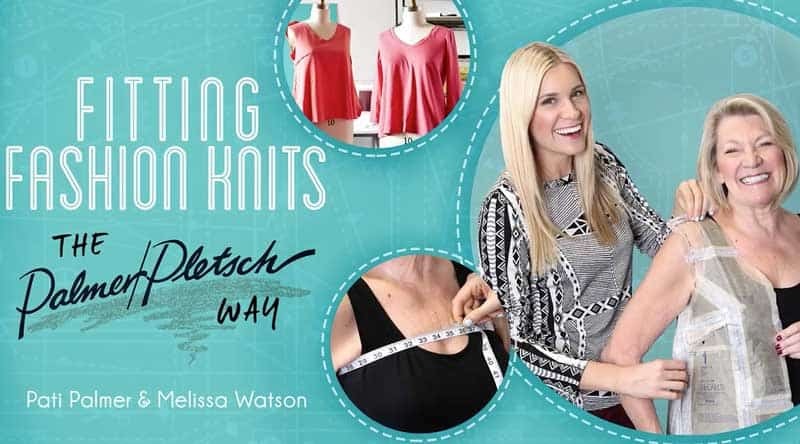 This class starts with helping you understand different types of knits. The class covers basic fitting for knits and then more detailed fitting with adjustments similar to the above two classes. I like how this class takes into consideration the differences in knits and which ones are better suited to tops, pants, or jackets. If you like details, then this class is for you. Everything is covered but it requires two people to do fitting. I use this class more for reference when I struggle with a pattern. In it you will take measurements which will then be added to a a muslin. These additional markings are for slashing the muslin so you can insert additional fabric to make the garment fit. There are ten units in this class. All of the techniques being taught are demonstrated on different size models. I found this to be helpful when trying to make pattern adjustments. For me, personally, I’ve found Craftsy Unlimited to be extremely helpful because I have access to all of the classes. I was able to review all of thems in order to find what works best for me. One thing I’ve learned about adjusting flat patterns. While learning how to fit garment patterns does take time, I believe it is worth the effort. 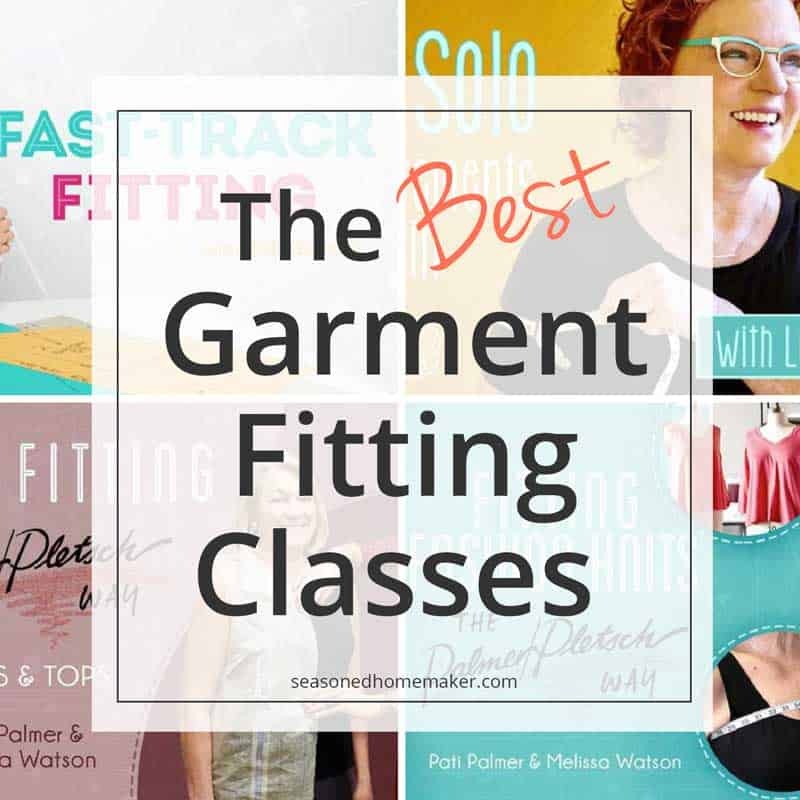 By choosing the class that best suits you and your needs, you should be able to tackle fit and start making amazing garments. P.S. If you love this post, please share it on Facebook and Pinterest. It would mean the world to me. Thanks for this round-up. 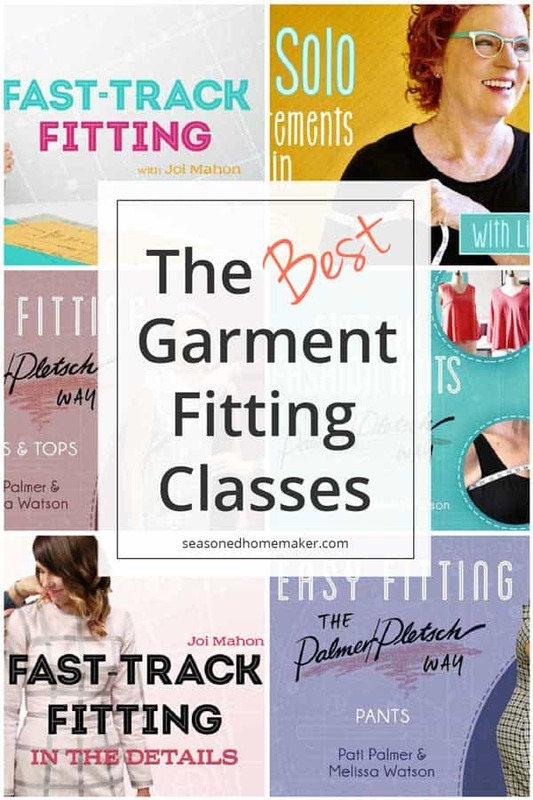 I actually own and have viewed several of these classes, and you have reminded me to do a bit of a review as I prepare to tackle a new pattern. I particularly like your organization of the classes. I agree that the Joi Mahone classes are a great starting point. 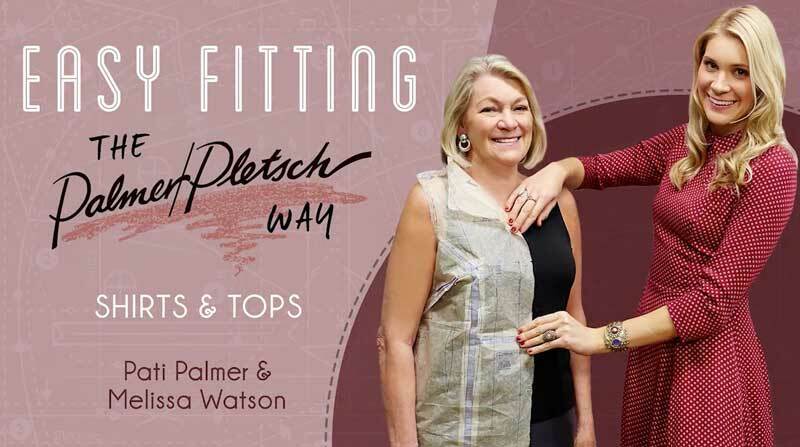 “Sew the Perfect Fit” was really good as well, but it does definitely require two people, each of whom should be somewhat knowledgeable about the process. I’m going to check out “Fitting Solo” course, since I’m pretty much on my own, and the Palmer-Pletsch courses as well. I do have their books, and have felt the “left hanging” issue, so I was skeptical about the classes. Good to know these are more explanatory than the books.